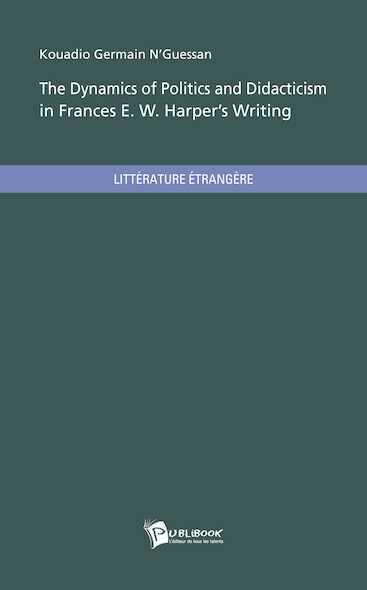 Novelist, poet, essayist, journalist, orator and activist, Frances Ellen Watkins Harper is one of the most famous Afro-American woman of the nineteenth century. Combining social issues – as for Blacks as for women –, Christian morality and literary innovations, she stood out as a complex and confounding figure fighting for justice and humanity. Revolution, reconciliation, reconstruction: three underlying concepts that almost guide the work of Frances Harper. Mixing sociopolitical, historical and literary interests, Kouadio Germain N’Guessan questions the plural objective of her writing, giving an outstanding study of her whole life of activism.